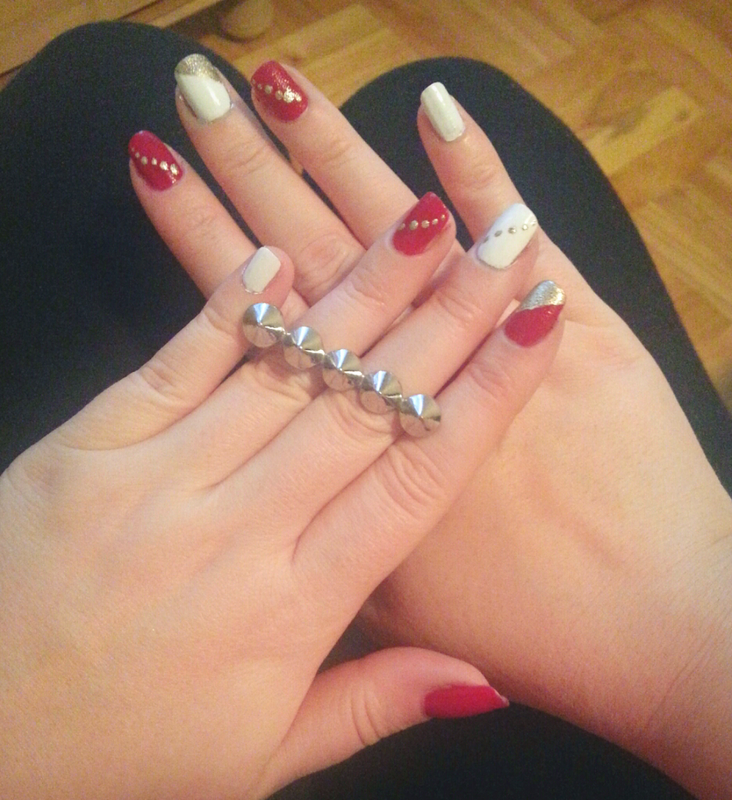 I have a Christmas party to go to tomorrow so I wanted to do my nails a bit festive and yet simple. This is what I came up with. 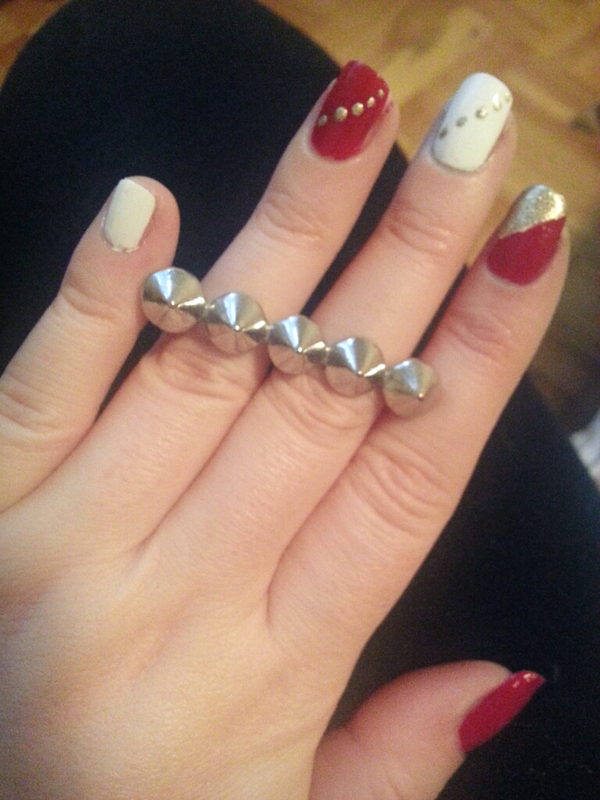 I used an Essence Nail polish in Fame Fatel. It was only about $2 and the red is the perfect red colour. 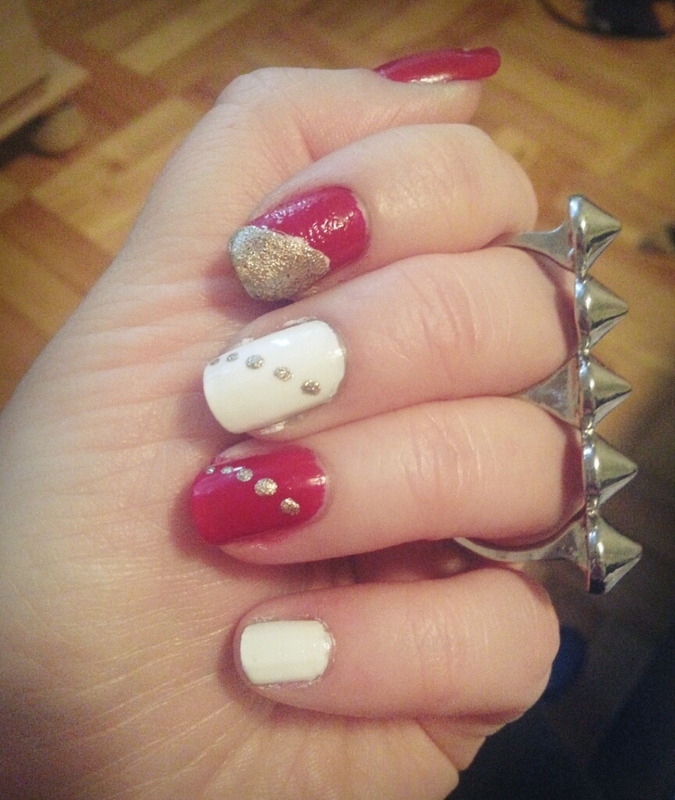 White is the NYC Long Wearing French Tip in 134. It applies amazing , no streaking at all. I find that a lot of solid white nail polishes do apply streaky and you have to put a good number of coats in order to look nice. You can use any gold you like. Looks VERY festive, lovely. 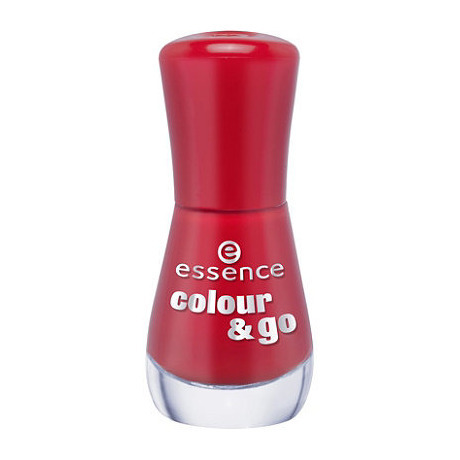 How is the Essence nail polish? I like it. I mean it’s not like some super quality. You get what you pay for but it’s not terrible. The bright colours are pretty pigmented so in like 2 coats you will achieve the colour you see in the bottle. The more pale colours you need a lot of coats because they are very transparent. The red you see and I have a dark purple are very good. Then I have 3 nudes, white, pink and coral, they are not as strong. I have to apply 5 or more coats. Also, they are not incredibly long lasting but they don’t chip in a day either.